Teachers have employed graphic organizers as a way to help students arrange and manage their ideas for years. These popular techniques, such as the Venn diagram, are widely-used for good reason. They provide the perfect starting point to brainstorm the ways that two ideas or objects are similar or different! 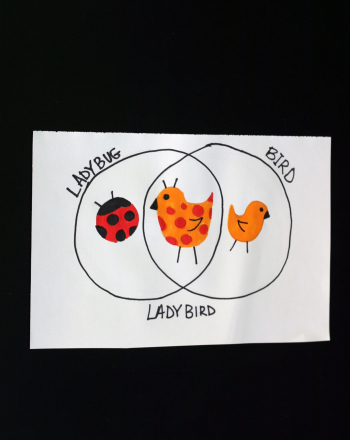 Introduce your child to this organizational method by helping her create a Venn diagram fantasy creature! Begin with a sheet of lined or unlined paper. The paper should be at least letter size, if not larger. Turn the sheet of paper so that it is oriented horizontally. Have your child draw two large circles on the paper. 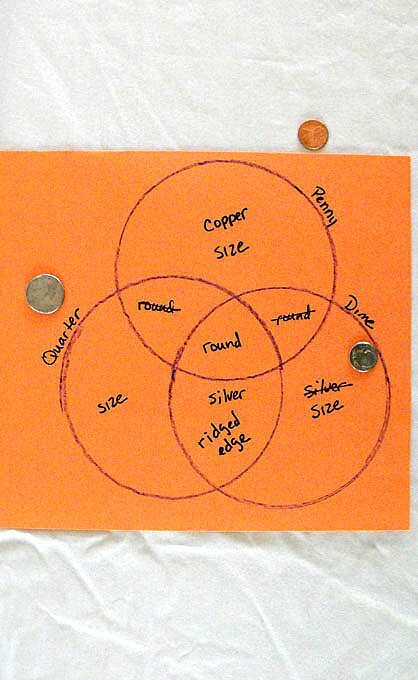 The circles should take up nearly all of the paper and they should overlap one another at their midpoints, as if they were two Olympics rings. Ask your child to name two animals or insects. She should write each name at the top of each circle, in the sections that do not overlap. Then, she can draw each animal below the name, also in the segments of the circles that do not overlap. Brainstorm ways to combine the two animal names. Write the new name at the top of the overlapping section of the two circles. For example, a butterfly and a bumblebee can be combined to become a butterbee or bumblefly. Talk about the characteristics of the two animals and how they are similar and different. Discuss what the new combined creature (based on their similarities) would look like. 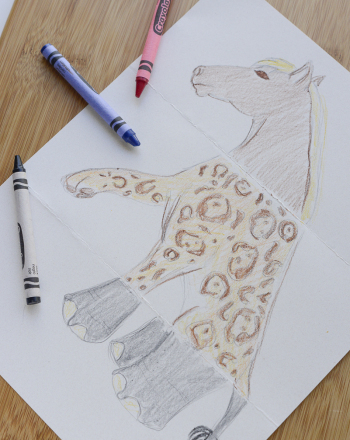 Invite your child to draw and decorate her new fantasy creature in the overlapping section, using colored pencils, crayons, etc. This activity provides a fun visual representation of comparing and contrasting. 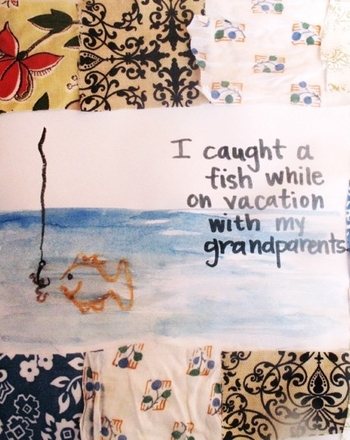 Encourage your child to use the fantasy creature as a springboard for a journal entry or a writing activity! Practise using this Venn diagram to show what is the same and what is different about the houses on page 2. Beginning readers can practise their comprehension skills by using this graphic organizer to diagram the plot of a story or book. They will use a Venn diagram to organise the similarities and differences.